Crankshaft attached with crankshaft bearing caps. Install the GE-571-B gauge (1). Install in the holder on the front of the engine block. 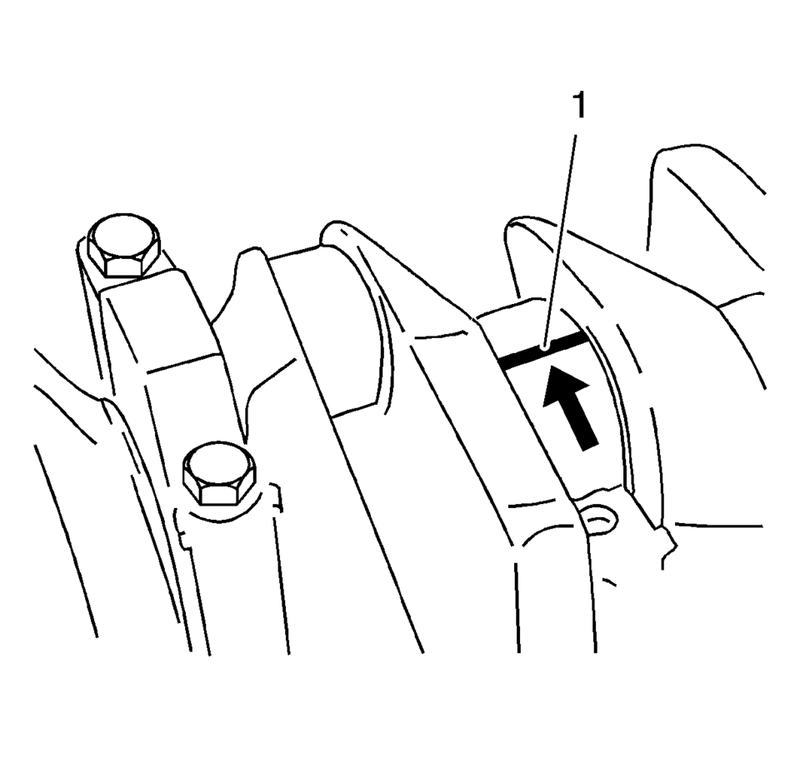 Place the dial gauge plunger against the crankshaft and adjust. Measure the longitudinal play of the crankshaft. Move the crankshaft in the longitudinal direction. Remove the GE-571-B gauge . Insert the crankshaft in the engine block. Install the GE-571-B gauge . Attach to the bracket on the engine block. 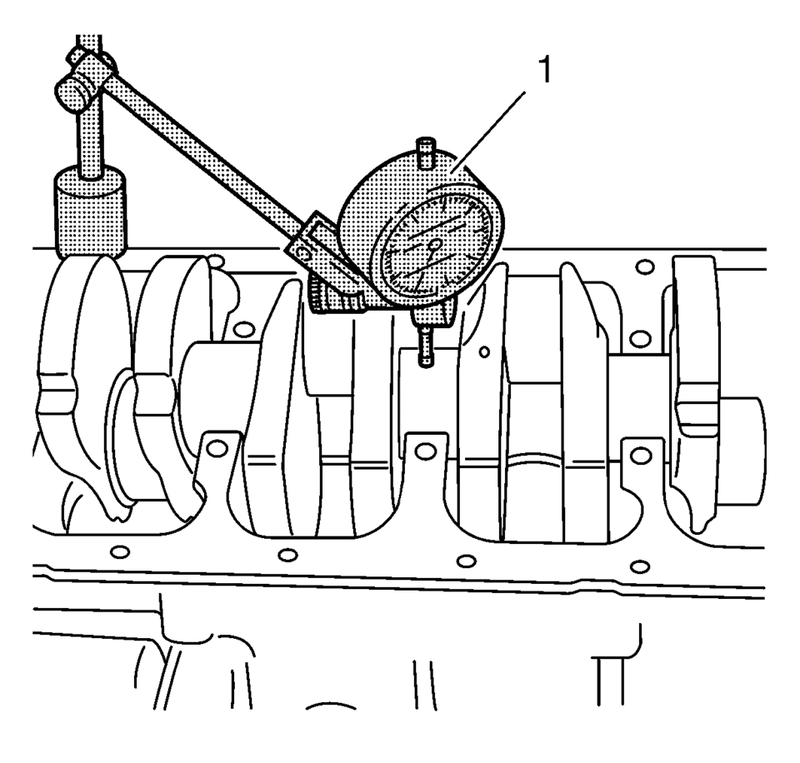 Place the dial gauge plunger against the crankshaft bearing journal and adjust. Check the rotational play of the crankshaft. Maximum permissible rotational play: 0.03 mm (0.001 in). Remove the GE-571-B gauge (1). Do not rotate the crankshaft. 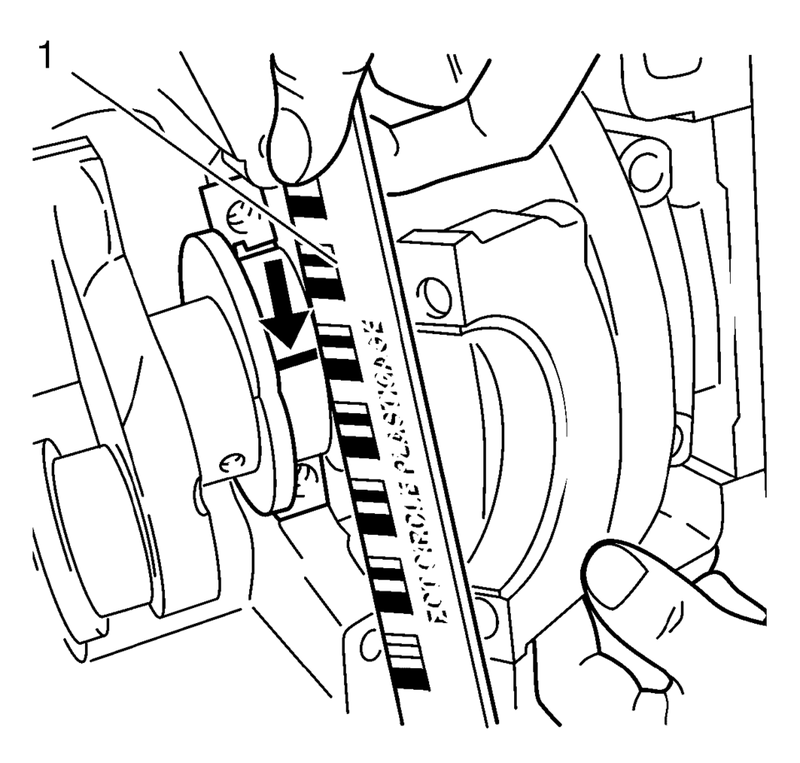 Lay out plastigage (flexible plastic thread) around the entire width of the con-rod bearing journal (1). The bolts can be reused for checking the crankshaft bearing play. Remove the 2 crankshaft bearing cap bolts. When reading the value, do not confuse millimeters and inches on the measuring scale (1). Measure the crankshaft bearing play. Compare the width of the flattened plastic thread (arrow) to the measuring scale. Permissible crankshaft bearing play: 0.005?E.059 mm (0.0002?E.0023 in). Install the crankshaft bearing cap with the crankshaft bearing clips to the cylinder block. 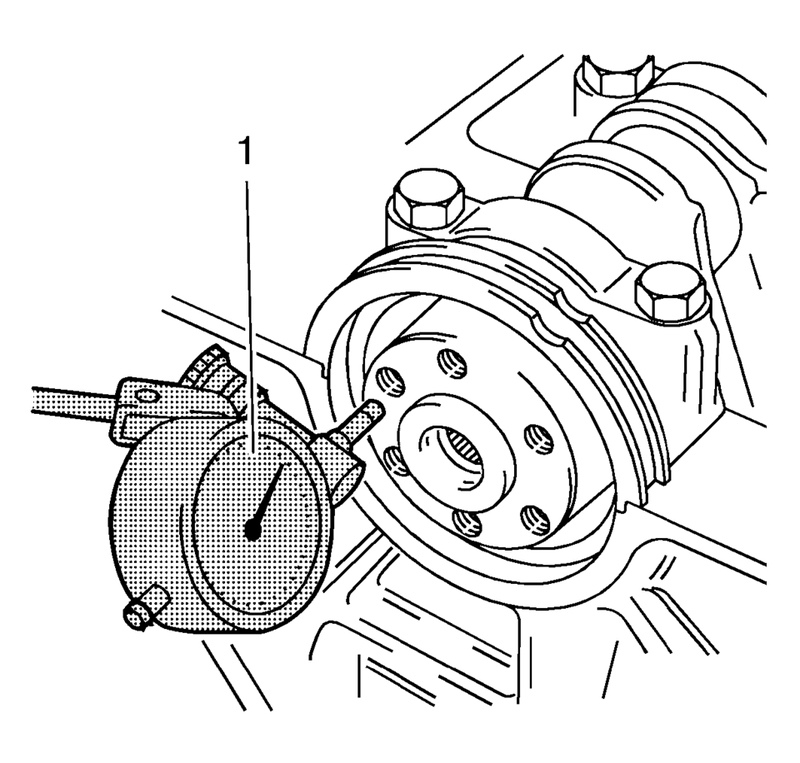 Install the inner plunger and calibrate with the micrometer gauge (1). Measure the crankshaft bearing diameter at 3 points. 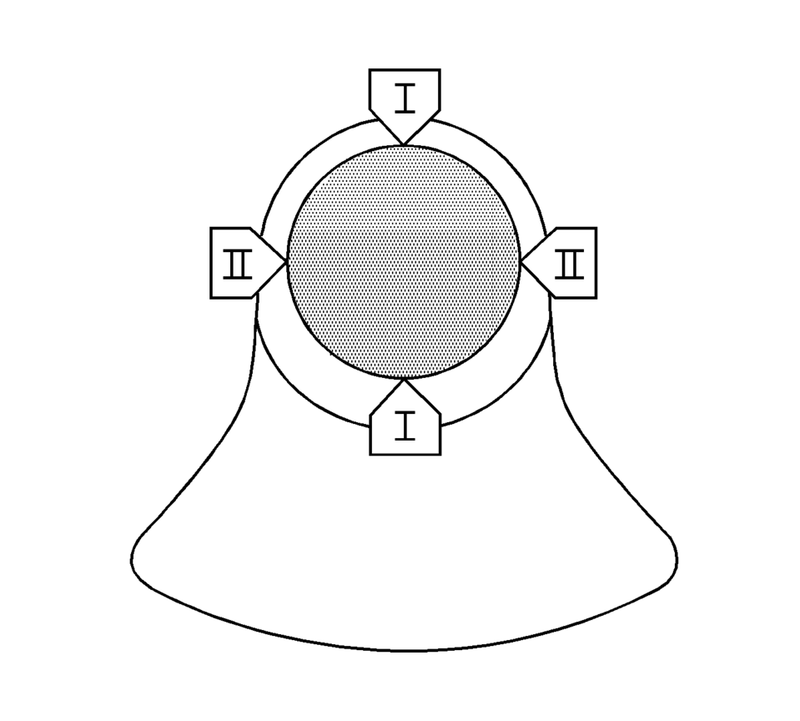 Measure at points A, B and C with the internal measuring device. Calculate the average crankshaft bearing diameter. Formula: A + B + C /3. Measure the crankshaft bearing journal diameter at 2 points. 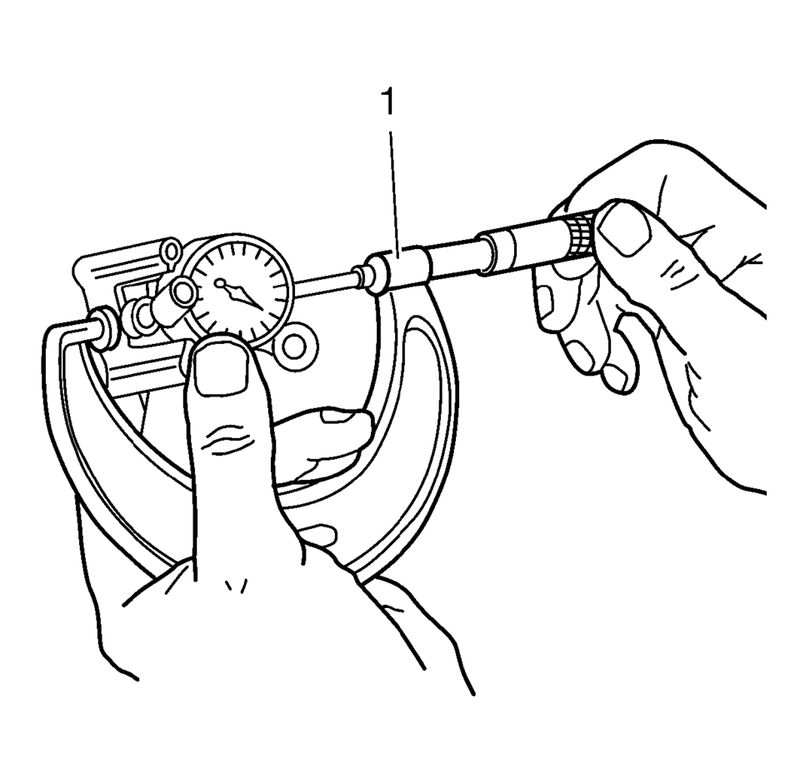 Measure at points I and II with the micrometer gauge. Calculate the average crankshaft bearing journal diameter. 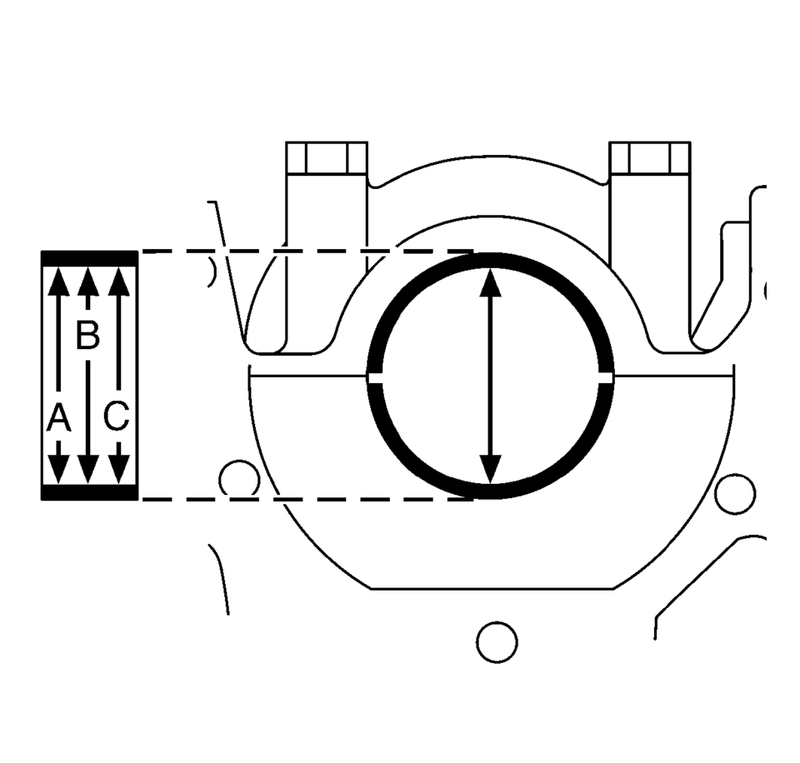 Determine the crankshaft bearing play. Calculation formula: average crankshaft bearing diameter minus average crankshaft bearing journal diameter.